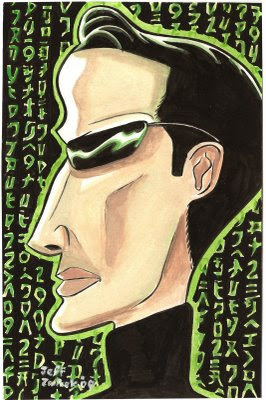 Keanu Reeves as Neo from The Matrix. Commissioned by Mark. Tomorrow Agent Smith.